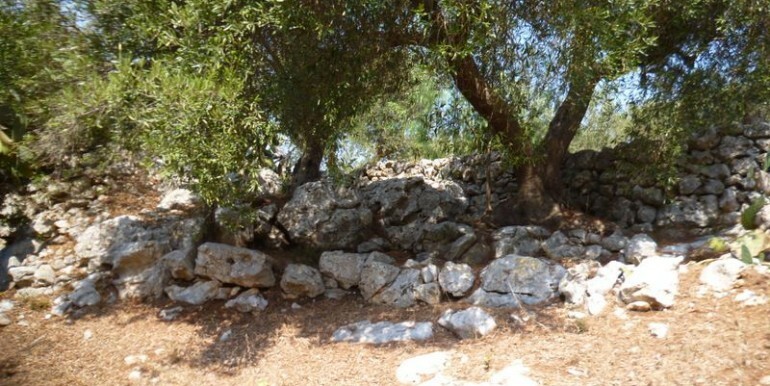 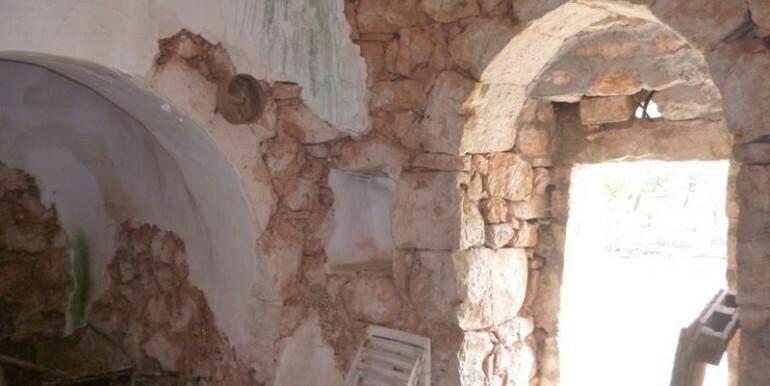 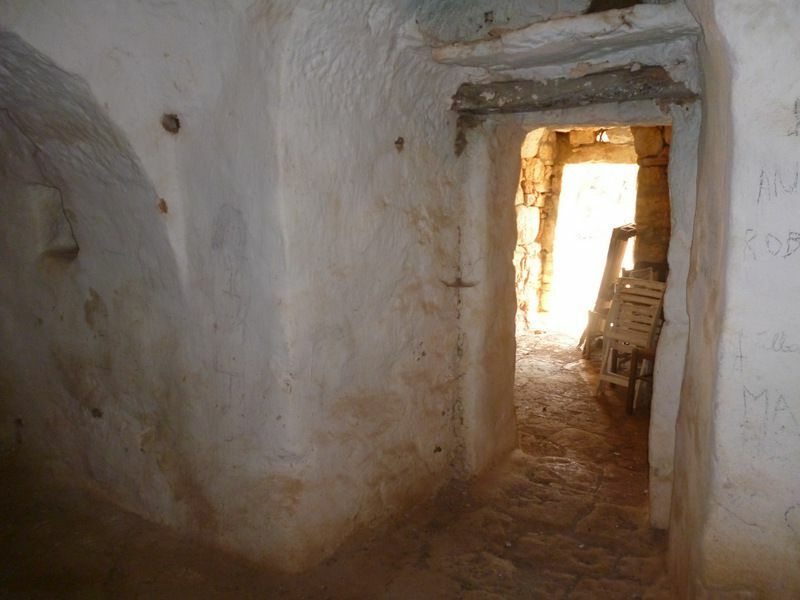 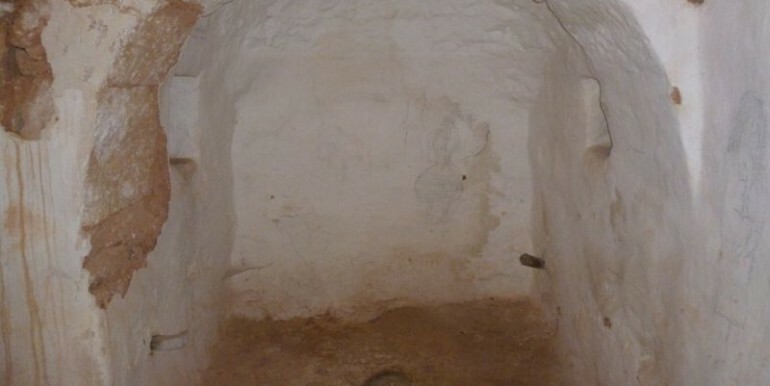 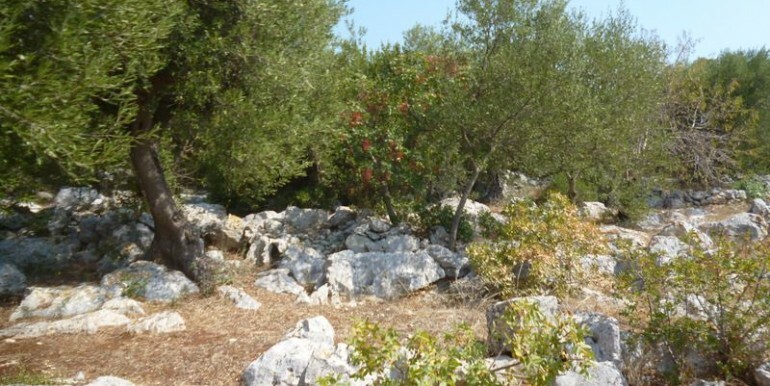 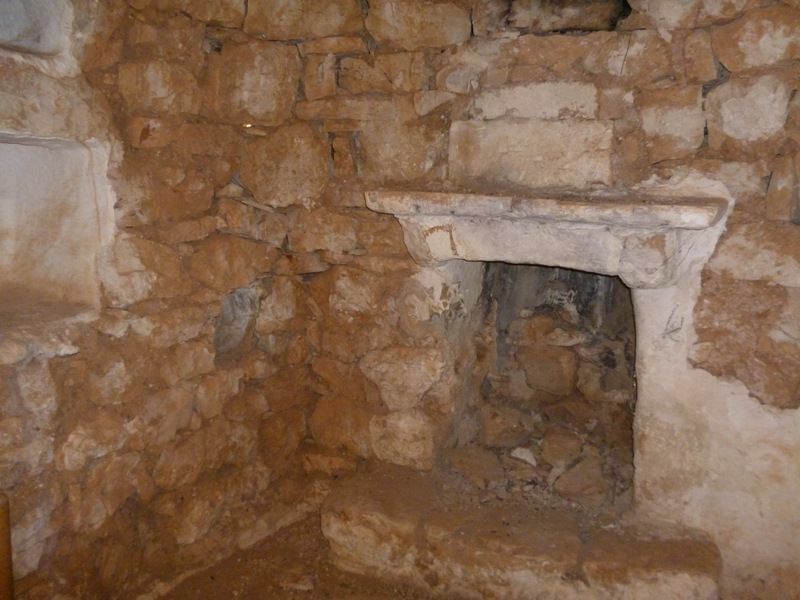 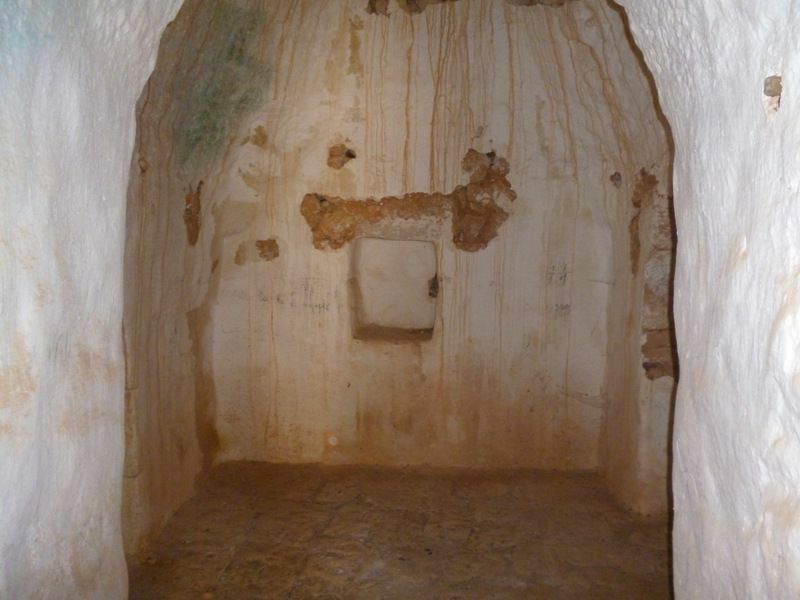 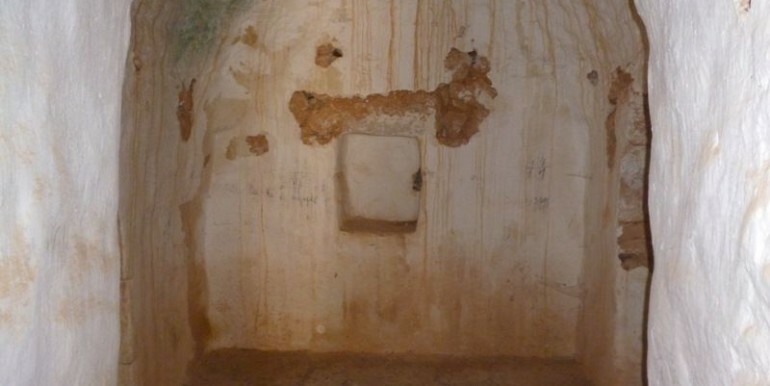 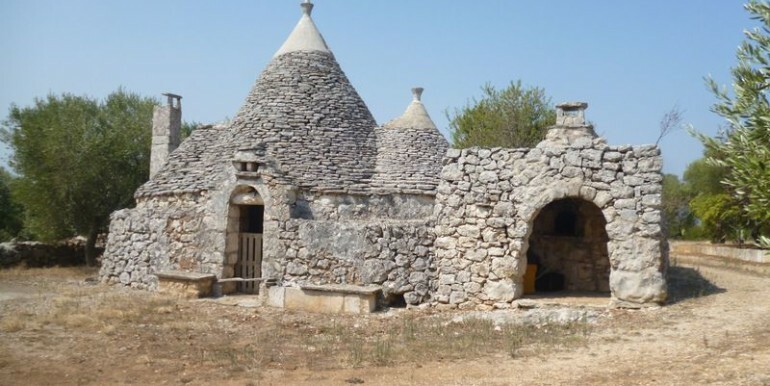 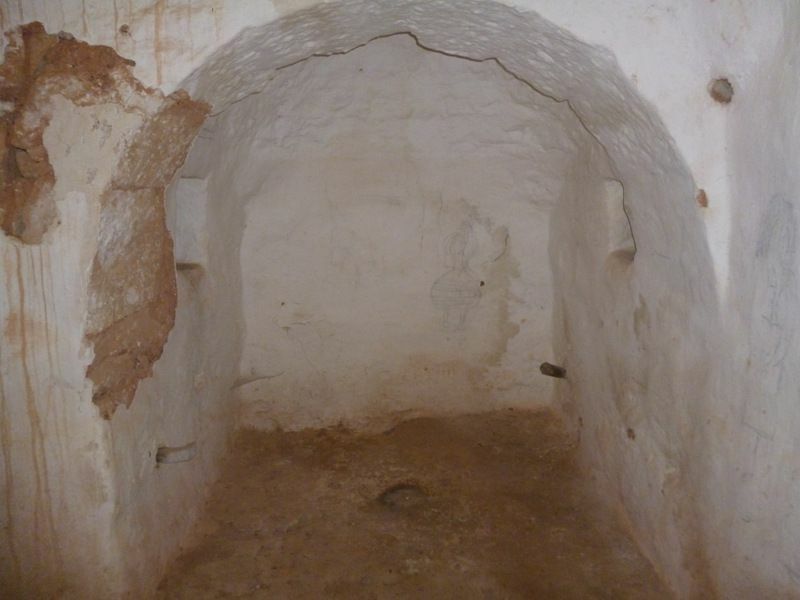 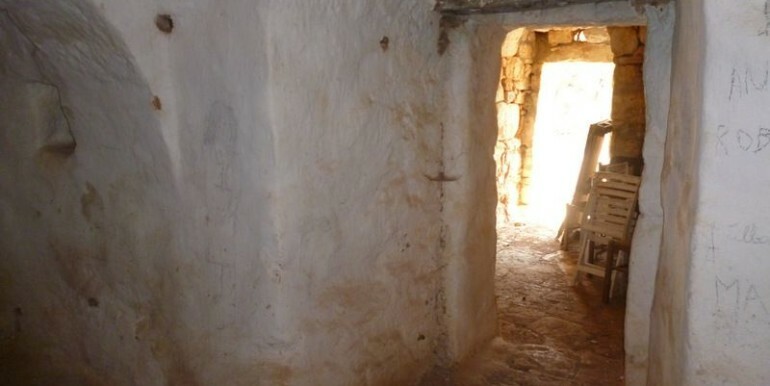 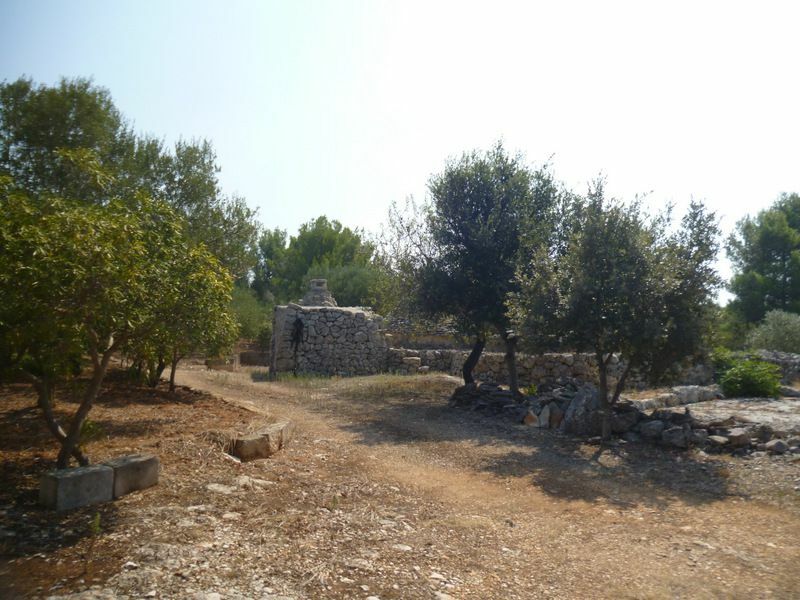 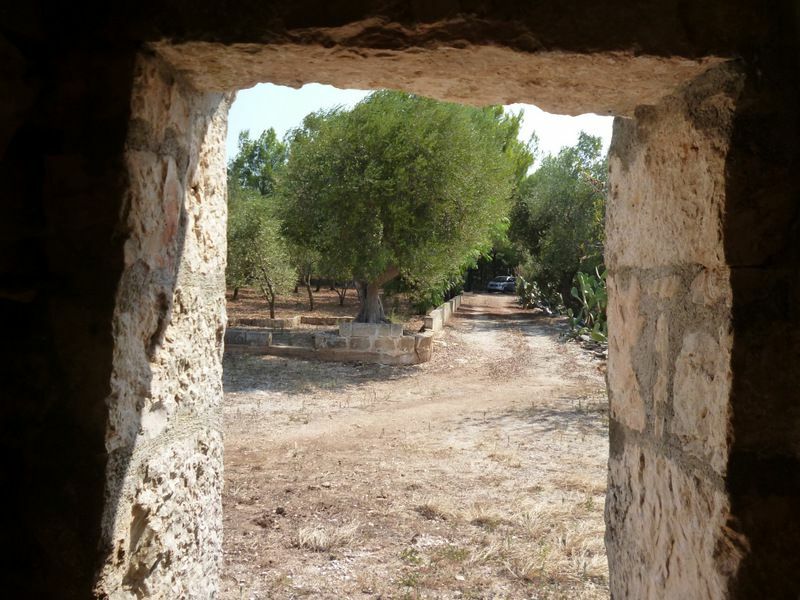 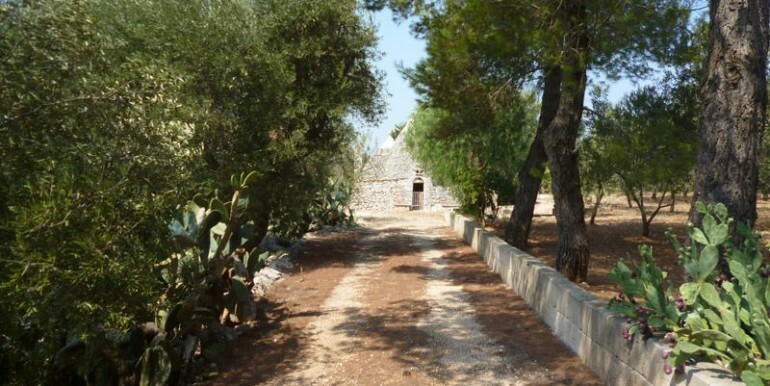 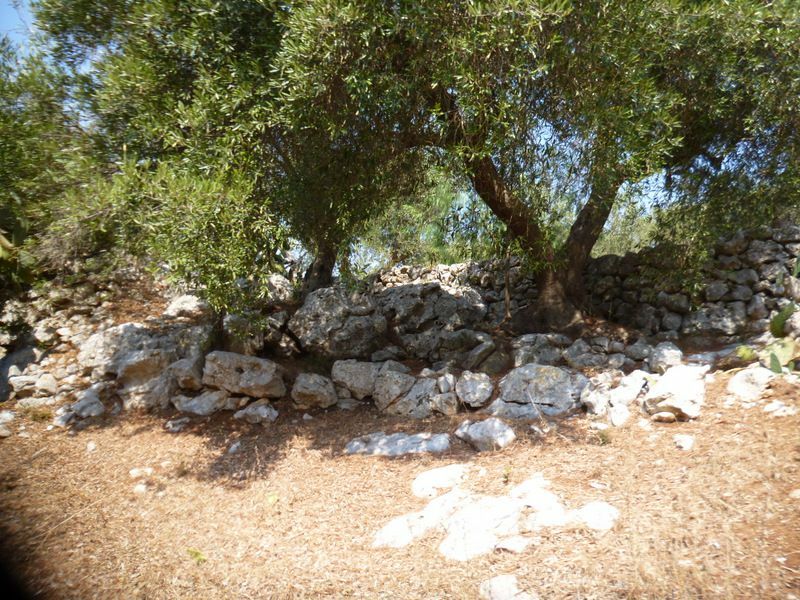 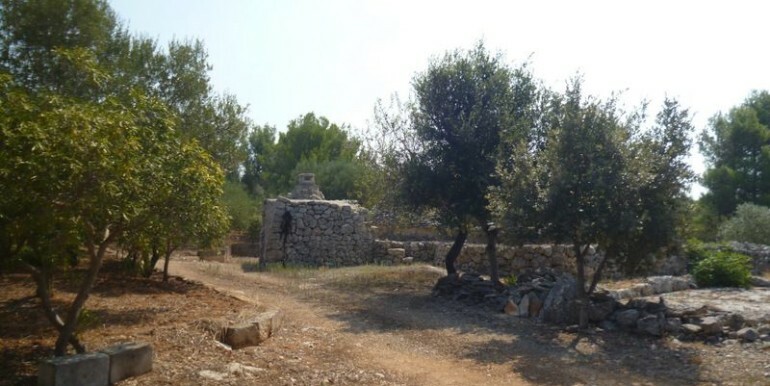 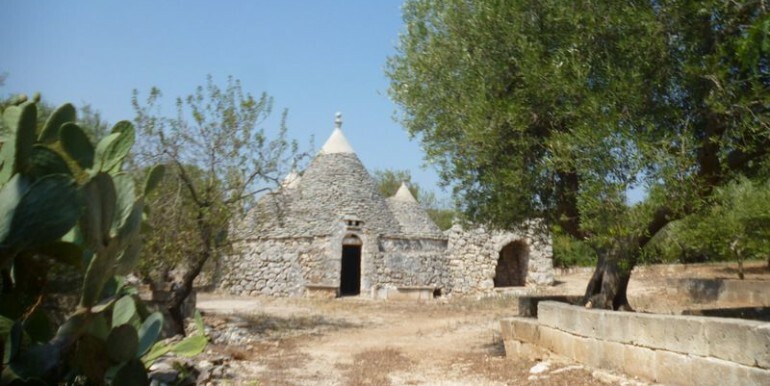 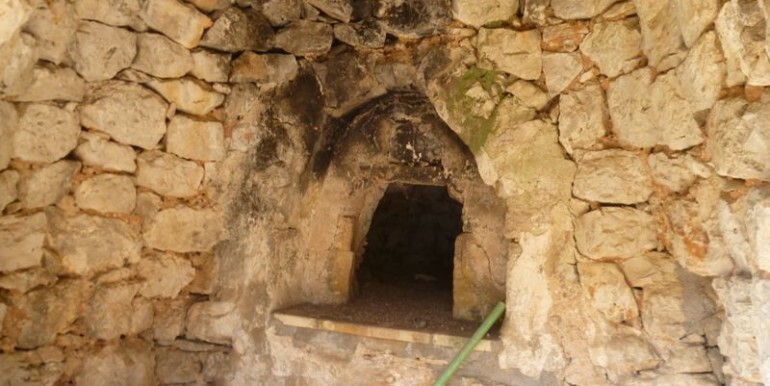 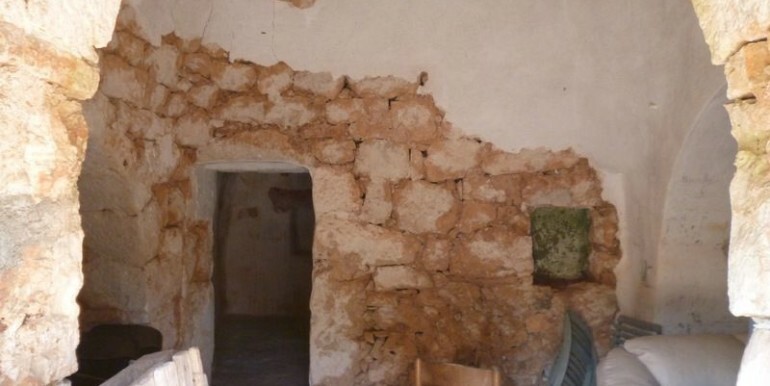 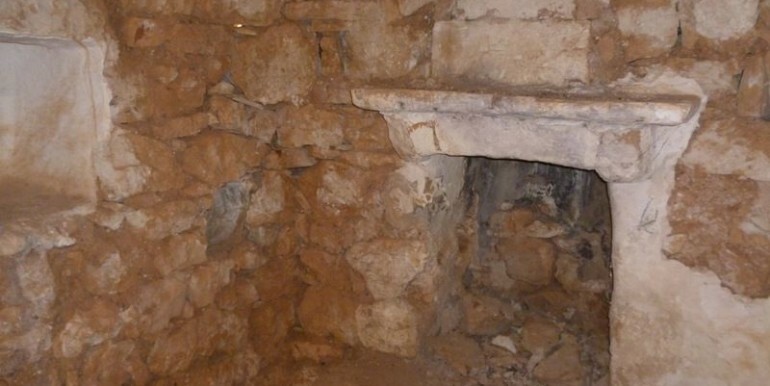 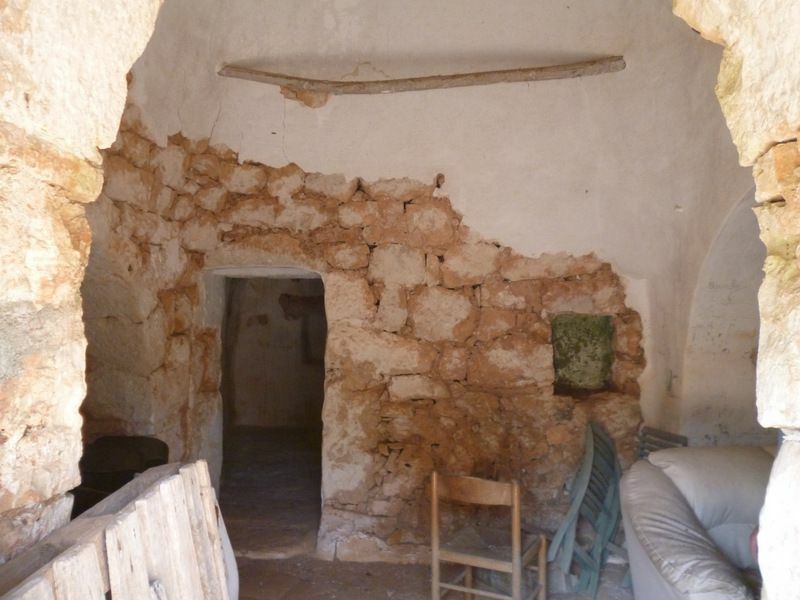 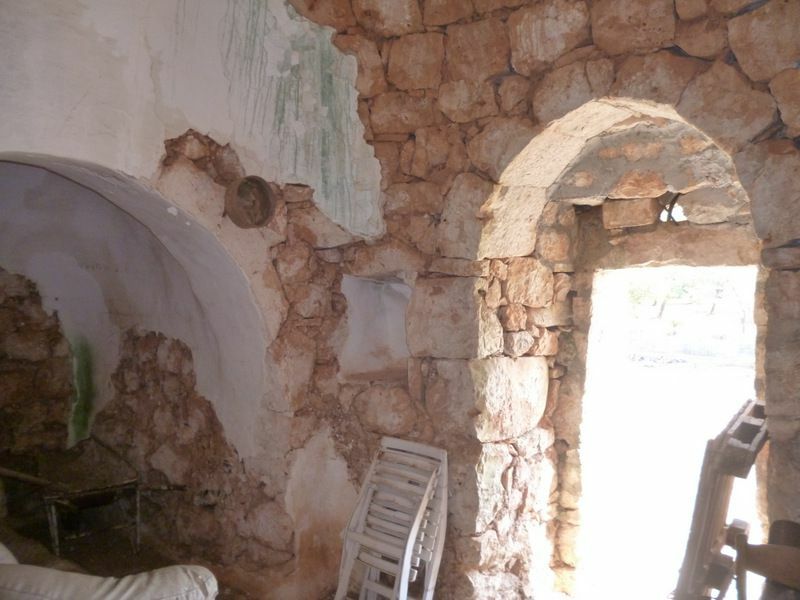 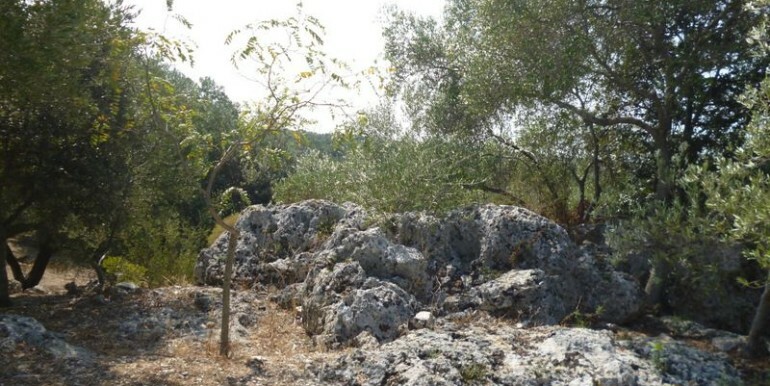 Traditional trulli property for sale in Puglia southern Italy, located in the countryside of Grottaglie. 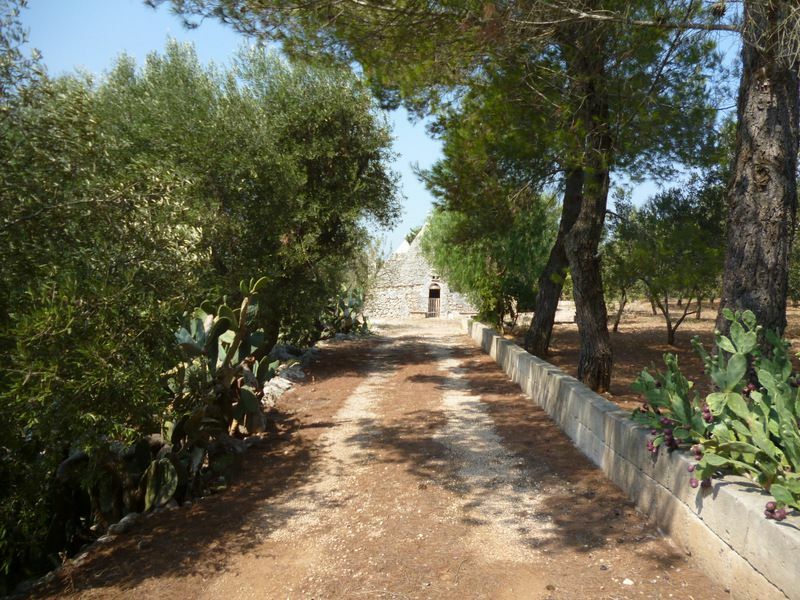 Typical trulli complex for sale in Puglia, located between Martina Franca, Villa Castelli and Grottaglie, in a nice and populated area. 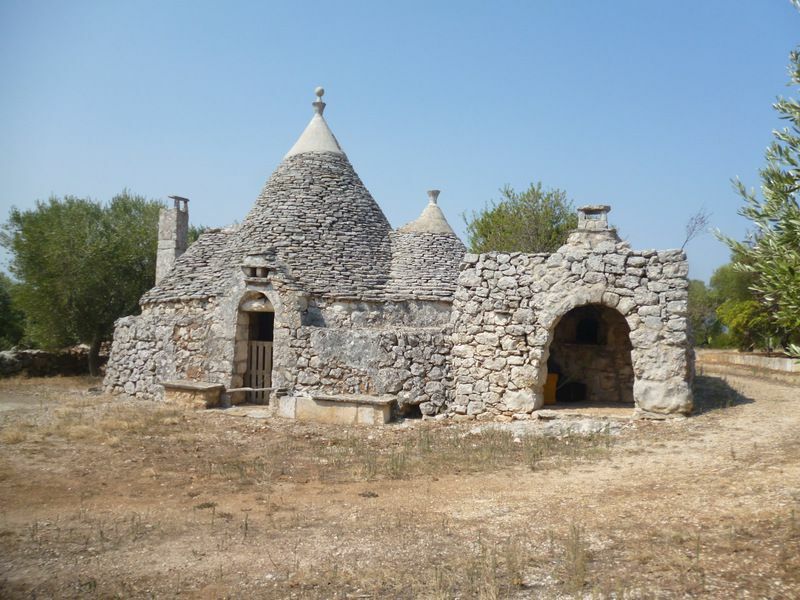 From a gated entrance, a privated driveway leads to the real estate which offers a complex of trulli in very good structural conditions, offering 2 spacious cones with fireplace, and 2 alcoves. 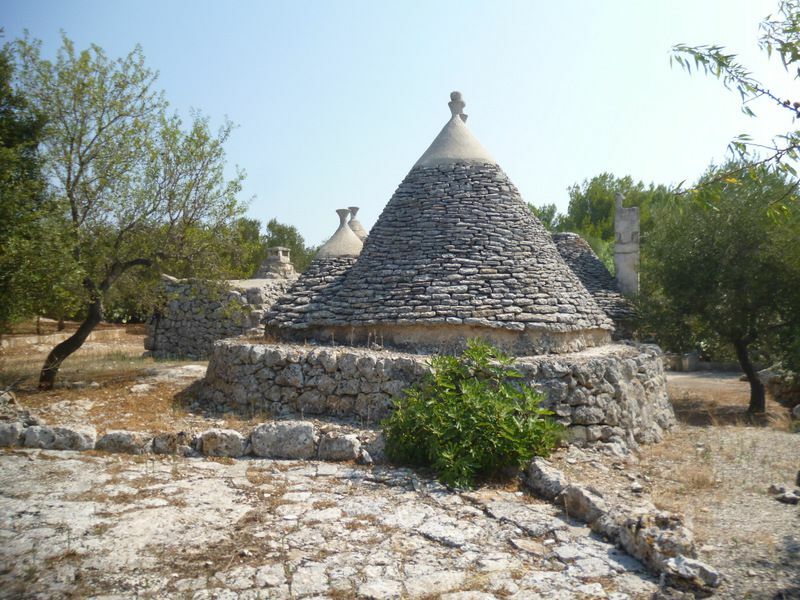 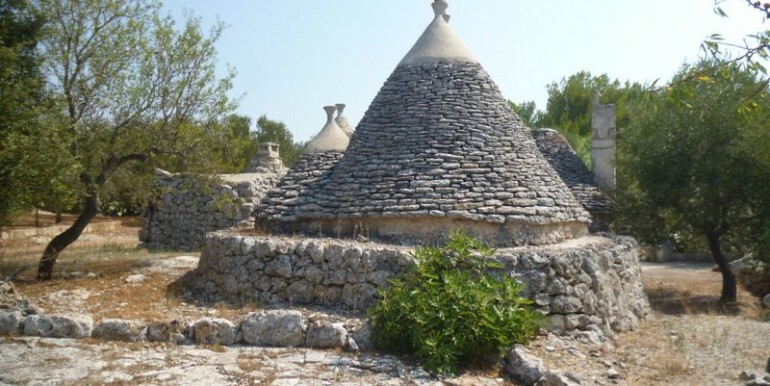 At the left hand of the trulli there is also a pizza oven. 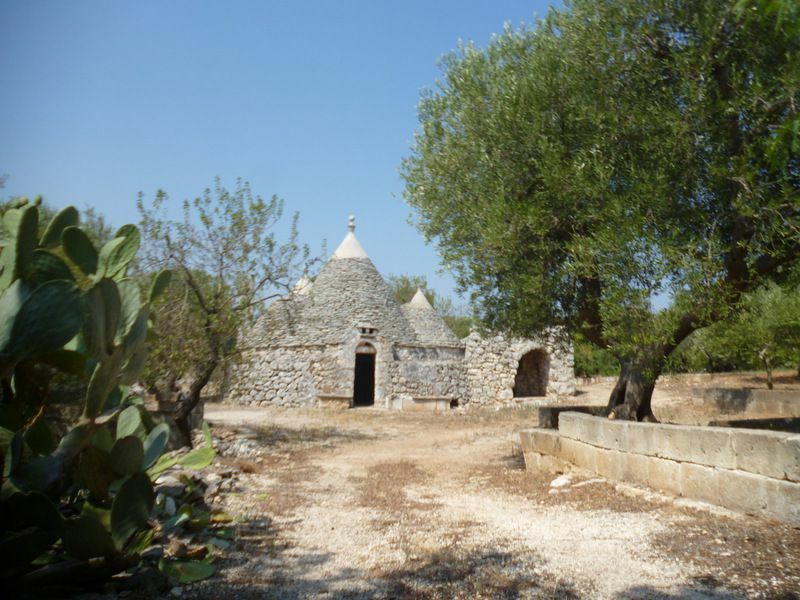 Behind the trulli there is a traditional stone terrace, an ideal place for al fresco dining and an external bathroom. 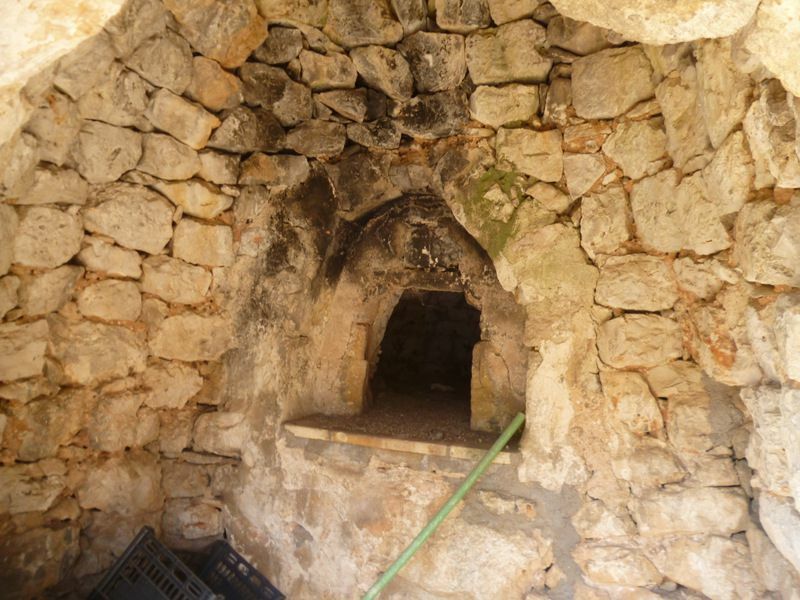 Cistern for water supply. 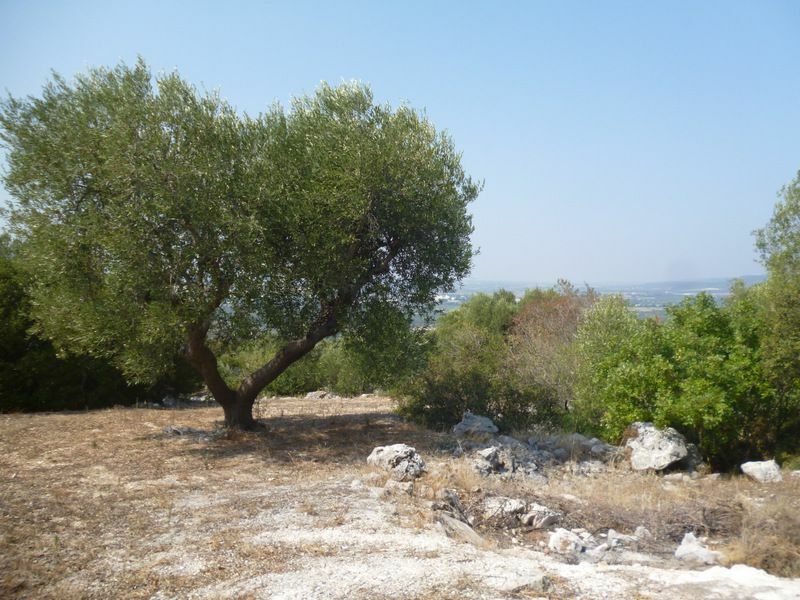 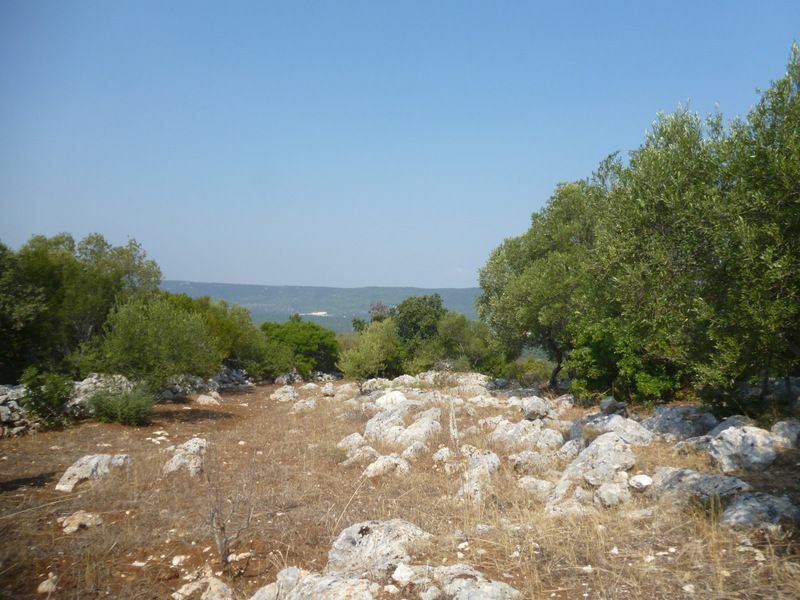 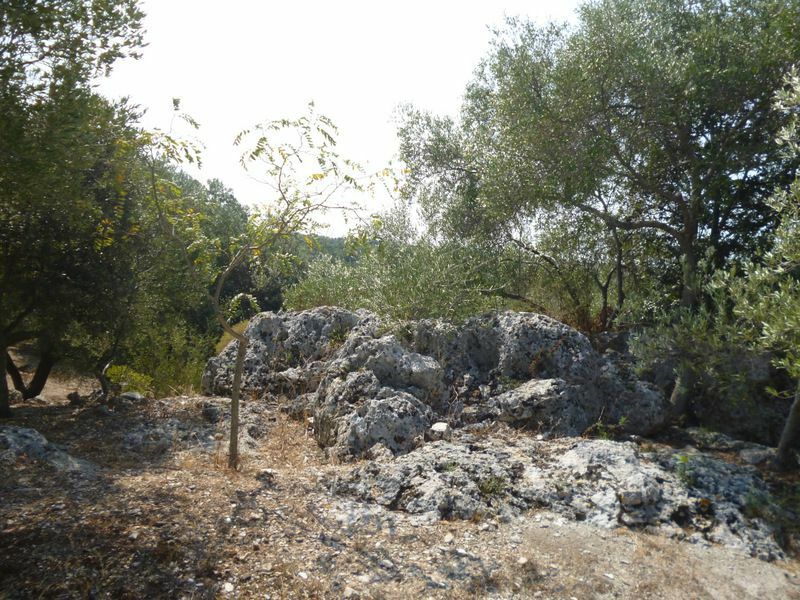 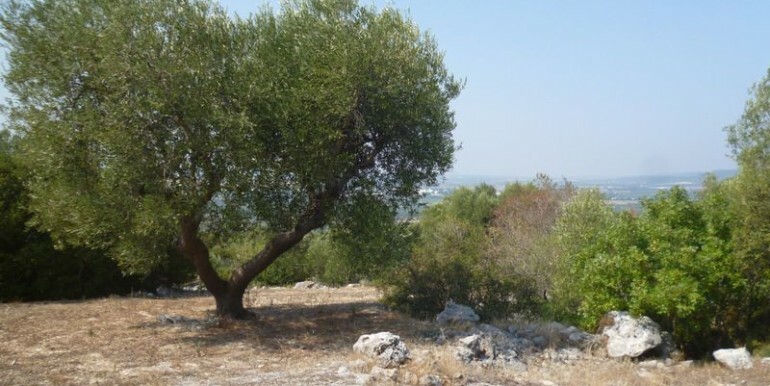 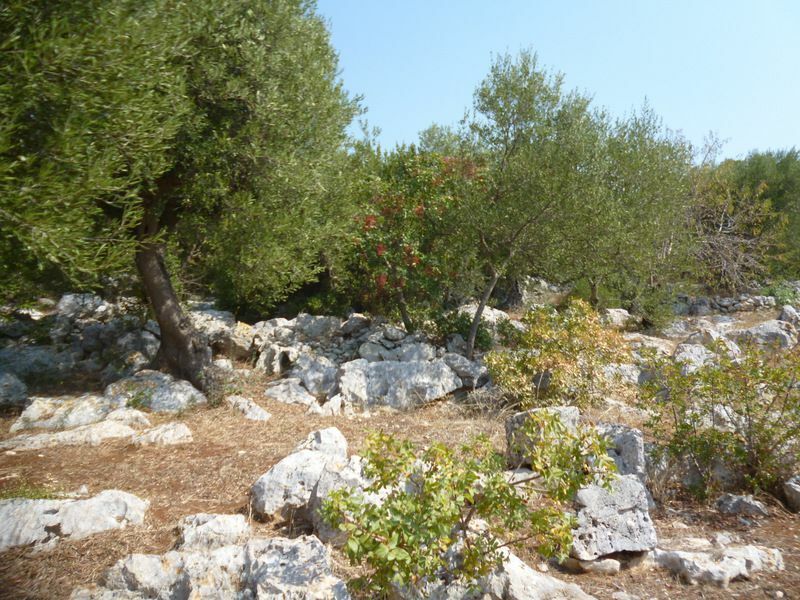 The appurtenant plot of land extends for some 15.000 square meters, with olives, some fruit trees and maquis shrubland (macchia mediterranea). 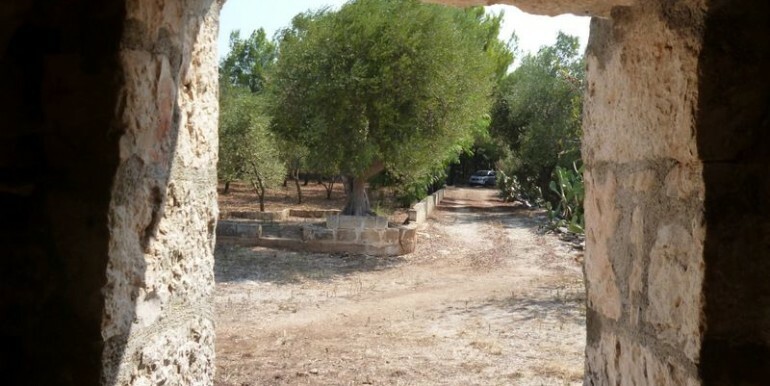 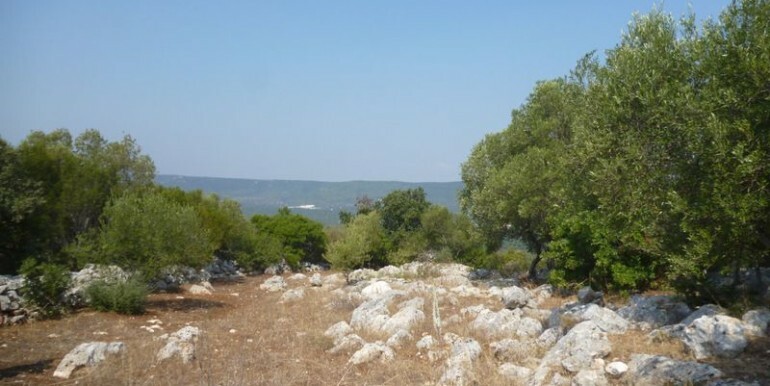 The property has panoramic view across the countryside.